With iPhone, Apple has created one of the most popular cameras ever and we want to make it better. 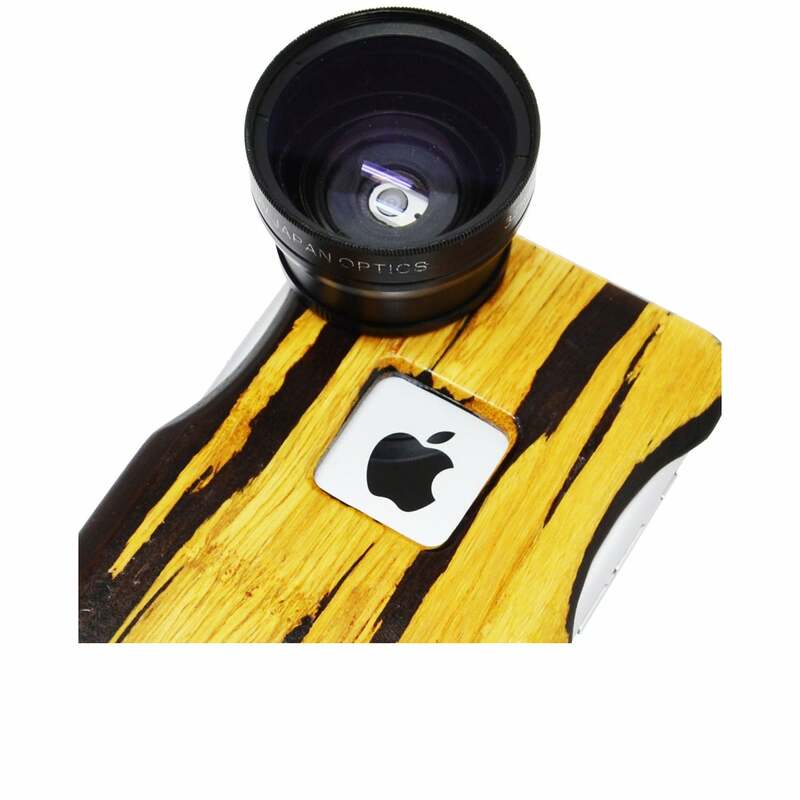 Threads designed and machined right into the bamboo allow users to easily attach and detach photo enhancing lenses without removing their case. Attaching a lens turns your iPhone into an even more powerful video and photography device. PEACHii offers a range of lenses including wide-angle/macro, fish-eye/macro, and telephoto. We didn't design some proprietary mounting system to lock you into buying our lenses, these common threads make your iBooBox compatible with hundreds of different auxiliary lenses available from professional photography sources online or in store. Users can attach almost any lens to the iDevice using step rings, even SLR lenses can be attached with a special adapter sold elsewhere. By adapting processes used in high-tech industry, we have devised a nearly indestructible bamboo case. We integrated a monocell sub-frame into the case using carbon fiber and fiberglass, sandwiching the two between cross-grain bamboo. This creates a structure similar to an F1 racer's protective crash-box. But we didn't stop there. We stabilized the bamboo case using a vacuum infusion process which was developed by NASA. 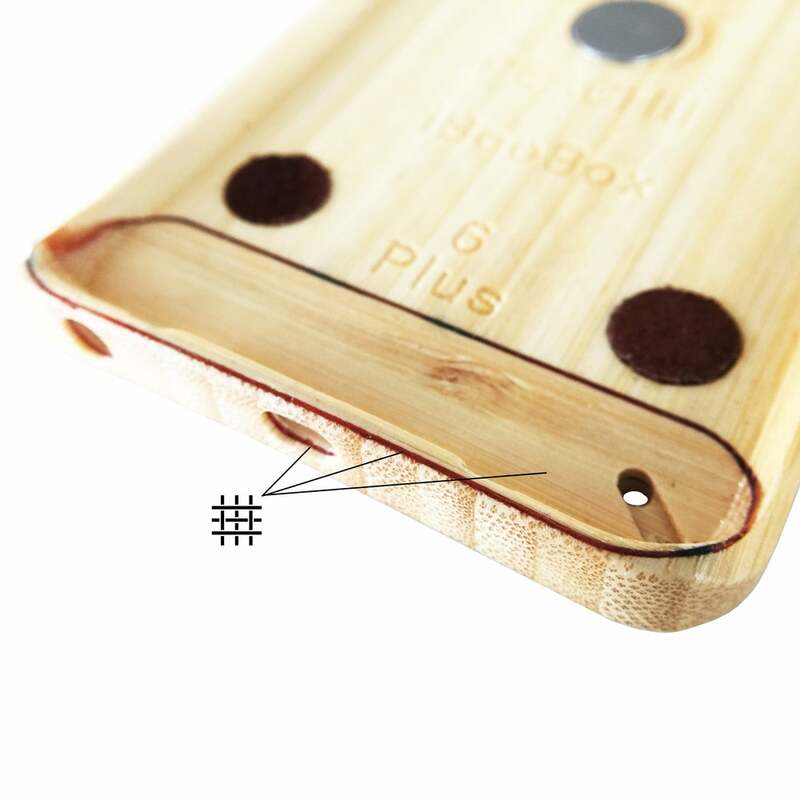 These extra processes create an incredibly durable and natural bamboo case that meets Apple's 1m drop test requirement for cases in its MFi program. A cleverly integrated neodymium magnet keeps your iPhone within reach. This magnetic quick mounting system allows you to "stick" your iBooBox to any ferrous metal object. 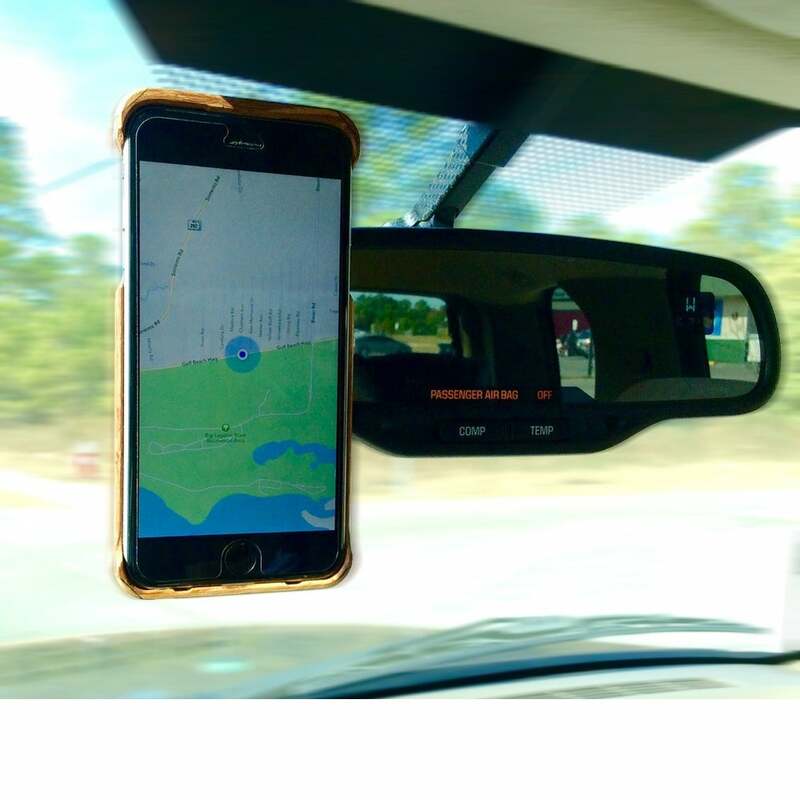 Or use one of our magBoo Universal Mounts to make any non-ferrous surface a mounting point. We also offer a magnetic adapter for use with tripods, magBoo Tripod Mount allows iBooBox to quickly and easily attach or detach from any standard 1/4-20 tripod with a secure magnetic "snap". It even doubles as a kickstand. The simple application of magnets creates virtually endless possibilities. 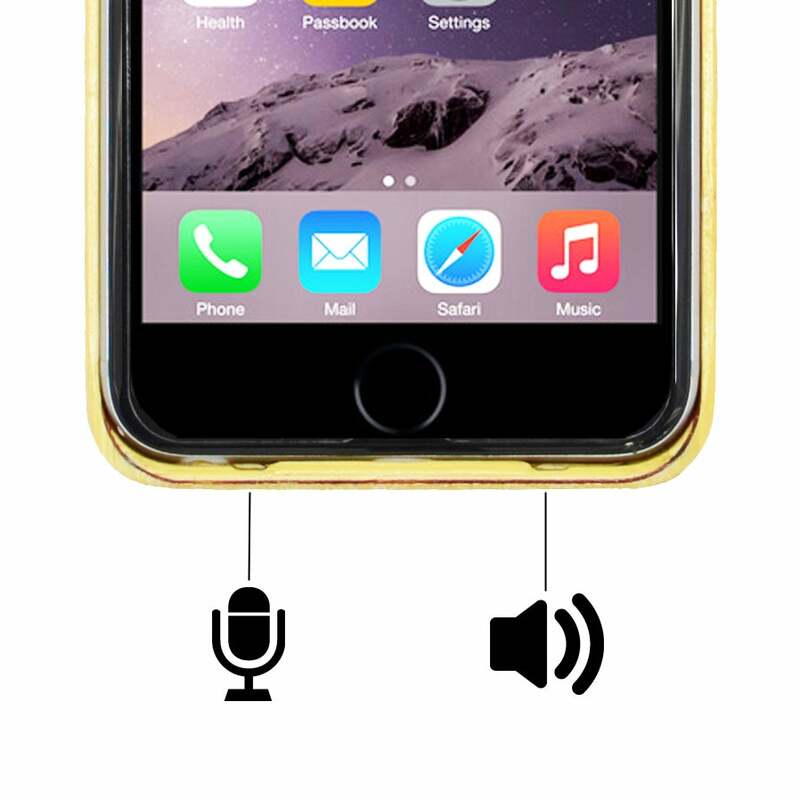 A sound port redirects the sound waves coming out of the iDevice's speaker back towards the user. For even greater sound performance, the iBooBox is designed to be placed screen side down on a solid surface. This creates a sound chamber with much deeper and crisper sounds. Made by Machine in a Sweaty Shop. Finished by Hand on a Florida Beach.